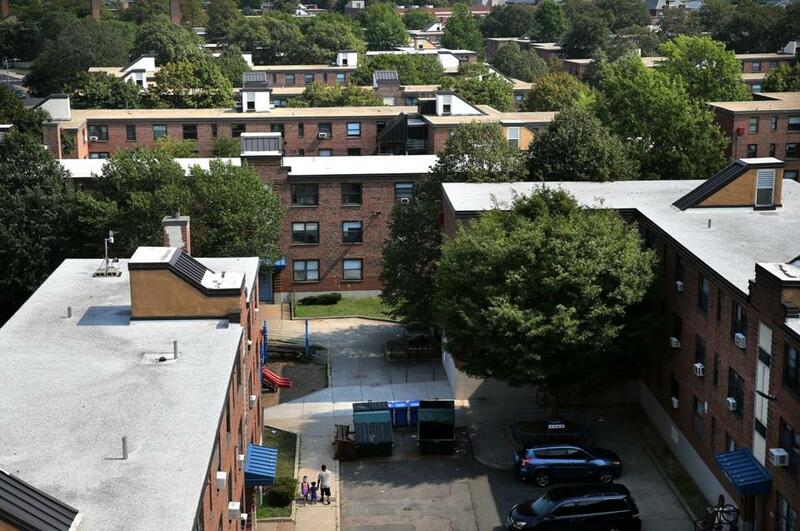 The Boston Housing Authority is planning to redevelop the 1,100-unit Bunker Hill housing complex. The Walsh administration is poised to require real estate developers to do more to create affordable housing at a time when rent increases and a boom in luxury projects are pricing many people out of the city. Two top city officials disclosed Tuesday that Walsh plans to ask developers of new apartment and condo buildings to add to the number of affordably priced units they build within their projects or, alternatively, fund added affordable units elsewhere. Developers of office buildings, meanwhile, will likely be required to pay a higher fee to finance housing and job training, so-called linkage payments. Developers are enjoying Boston’s biggest building boom in a generation. Advocates have been pressing City Hall to make those developers foot more of the bill to house lower- and middle-income Bostonians. Walsh’s housing chief, Sheila Dillon, said the administration has been trying to negotiate a compromise between the advocates and developers. “We’re trying to land on the right combination,” Dillon said after the hearing before the Boston City Council. “I think we’ll see some sort of responsible increase” in affordability requirements. Dillon expects the mayor to unveil new targets by the end of the year. In an interview, Dillon declined to release additional details on the proposed new construction requirements for residential developers. Currently, they are required to set aside 13 percent of their units for low-income residents. Also unknown at this point is how much more in linkage payments the second group of developers, those of non-residential property, would have to contribute to job training and home financing. They currently contribute just over $10 for every square foot of new construction over 100,000 square feet they build. Most of that goes to affordable housing. A 350,000-square-foot building, for example, would generate nearly $2.1 million in housing funds. The linkage program currently raises about $7 million a year for housing and $1.4 million for job training. The programs are designed to cap housing costs for low- and middle-income tenants, enabling a family of four earning $68,950 or less, for instance, to rent a two-bedroom apartment for $1,424 a month. John Barros, Boston’s economic development chief, said the city could adjust linkage fees to account for inflation by as much as 15 percent before needing approval from the Legislature. The new construction fees would most likely take effect late in 2016, three years after they were last increased, officials said. The Walsh administration is open to asking Beacon Hill for a higher fee, or one it could adopt earlier, Barros said, but wants to make sure everyone – including the development community — is on board. In September, the City of Cambridge nearly tripled the fee, to $12, that developers of nonresidential projects over 30,000 square feet must pay for affordable housing, and it will jump to $15 in three years. Cambridge separately requires developers of residential complexes to include affordable apartment or condo units within their buildings. Neighboring Somerville increased its housing fee two years earlier. In Boston, advocates have been pushing for those fees to climb to $12 a square foot for housing and $2.40 for job training. Their calls prompted Tuesday’s hearing, at which several Council members said they supported a bump in linkage fees. No developers spoke at the council hearing. But Greg Vasil, chief executive of the Greater Boston Real Estate Board, which represents the building community, said in an interview Tuesday that Boston needs to be careful about asking too much. “The result of all of this is that it’s going to be more expensive to build here,” said Vasil, who pointed out that the fees do little to boost middle-income housing, which also is increasingly scarce across the city. Sam Tyler, president of the Boston Municipal Research Bureau, said Boston faces a tricky task of raising fees enough to ease the obvious need for more affordable housing, but not so much that it discourages development. Tyler said he already hears from some builders who won’t build in Boston because of high costs. Adding more fees could add to that list. Still, advocates contend that raising the requirements will help Walsh fulfill one of his top priorities, increasing funding for affordable housing by $20 million a year and building 53,000 residential units by 2030. With so many cranes on the skyline and more projects in the pipeline, it’s time to see some results, said Richard Thal, executive director of the Jamaica Plain Neighborhood Development Corporation. Tim Logan can be reached at timothy.logan@globe.com. Follow him on Twitter @bytimlogan.